Caption : Rt. Hon. 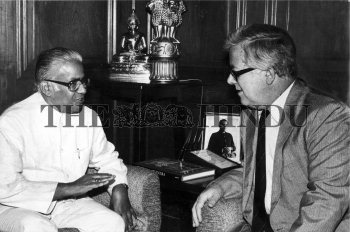 Sir Geoffrey Home, Secretary of State for Foreign Affairs, Britain, with Mr. B.R.Bhagat, Foreign Minister in New Delhi, the National Capital.